Wadzanai’s drive to support women farmers is strengthened by her own struggles as a businesswoman in Zimbabwe. In Zimbabwe, many obstacles stand between women and reaching their full potential in agribusiness. Although women play a critical role in agricultural economies, traditional beliefs around division of labor, coupled with lack of access to land, markets and financing among other barriers, relegate them to informal businesses, or exclude them from decision-making roles within the economies they help drive. TechnoServe is partnering with women like Wadzanai Chimhepo to overcome these barriers by building inclusive, women-led agribusinesses that will, in turn create inclusive supply chains of smallholder farmers. Wadzanai had long fostered the dream of being an agropreneur. She knew she had the technical know-how to kick-start domestic mushroom production in Zimbabwe. She also knew that the market opportunity was there – most competitors in Zimbabwe sold lower quality imported mushrooms. In addition to agricultural training, the AIZ team and Wadzani incorporated lessons on gender dynamics into farmer trainings. But, Wadzanai lacked the business know-how and capital to take the plunge. Thus, she had written off her dream. She recognized the barriers she would face as a female entrepreneur in Zimbabwe, and as the single head of her household, the challenge seemed insurmountable and the risk too great. Women like Wadzani need a viable path to overcome such obstacles. When she opened her local paper – serendipitously lent to her by a friend – and saw Agro Initiative Zimbabwe’s (AIZ) call for inclusive agricultural business plans, she knew she’d found the partner and the pathway she needed to realize her dream. AIZ – a partnership between TechnoServe and the U.K.’s Department for International Development (DFID) – seeks to develop the agro-processing and agriculture sectors by supporting innovative agribusinesses committed to integrating female and male smallholder farmers in their supply chain. In 2015 the project implemented a strategy to boost inclusivity in these supply chains by setting specific targets to work with 40 percent women-led businesses and women smallholder farmers.To date, the project has impacted the lives of 64,000 smallholder farmers through partnerships with 50 agribusinesses. 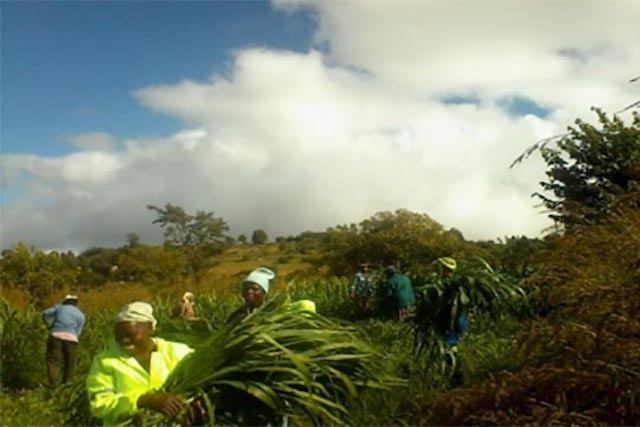 Wadzanai developed a mushroom production system using local Giant Grass, which is not only easy for farmers to incorporate into their farms, but conserves water and soil as well. Partnering with TechnoServe, Wadzanai started from scratch and developed a business plan. 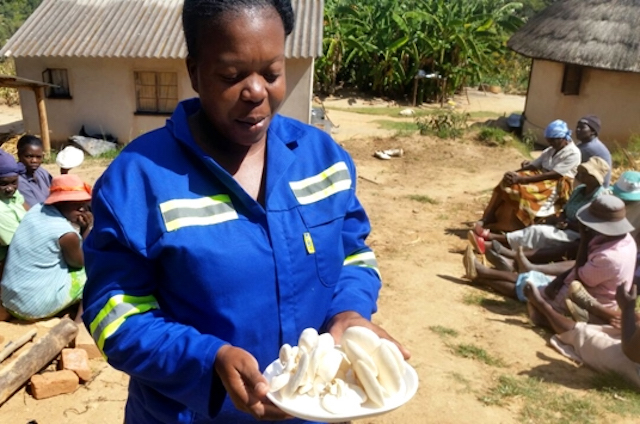 TechnoServe also provided her with business training and seed capital, enabling her to form Pungwe Mushroom, a business she hoped would not only create new opportunities for her family, but for industrious women like her across Zimbabwe. Together with AIZ business advisors she developed a sourcing plan through which she would train farmers in quality fresh mushroom production, keeping a strategic focus on incorporating women into at least 40 percent of her supply chain. Pungwe mushroom would then package and market the mushrooms to local retailers. AIZ also worked with Wadzanai to turn her technical background into a competitive advantage, linking her with Africa University to develop a substrate – the substance used to grow mushrooms – that she could easily teach to farmers. Together, they created a substrate based on the native Giant Grass, which not only increases mushroom yields and eliminates the sandy texture other mushroom producers struggle with, but is also easy to incorporate on local farms, serving as fodder for livestock and helping to conserve water and soil. With all the pieces in place, Wadzanai began building the ties that would hold her dream of an inclusive sourcing network together. She established partnerships with rural communities, civil society and the smallholder farmers themselves, teaching them how to improve their incomes through mushroom production, Pungwe-style. Today, Pungwe Mushroom works with 76 farmers, and – in keeping with Wadzanai and AIZ’s shared goal – over 40 percent of these new mushroom cultivators are women. Through Wadzanai’s mushroom trainings, many families reported improvements in their interactions on the farm and at home. Wadzanai’s drive to support women farmers is strengthened by her own struggles as a businesswoman in agribusiness. 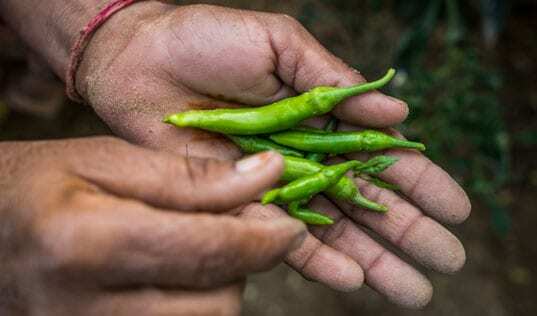 When she first began farmer trainings, male farmers balked at being trained by a woman, and she was only able to effectively deliver her message by enlisting her uncle’s help. 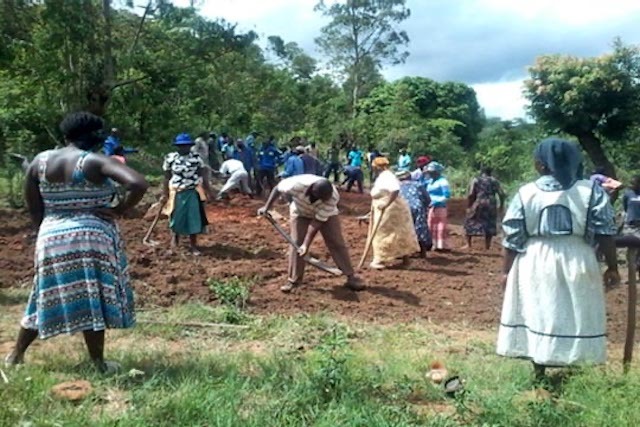 According to Wadzanai and TechnoServe’s experience in the field, this resistance is only one of the many challenges that women face in agribusiness. Together with AIZ staff, she also worked to overcome other common barriers, such as juggling many responsibilities and roles at work, in the community and at home, and learning to speak with confidence in professional settings, even in front of resistant crowds. Beyond her own capacity-building, TechnoServe also supported Wadzanai to shift these dynamics for her suppliers. In addition to agricultural training, the AIZ team and Wadzani incorporated lessons on gender dynamics into farmer trainings, helping them to understand their attitudes and behaviors towards gender equity on and off the farm. Farmers were encouraged to bring their spouses and adult children to Pungwe’s workshops. When families share knowledge and responsibility through farm trainings and activities, farming becomes a family venture, and men, women and young people are recognized as important providers deserving of decision-making power. Through Wadzanai’s mushroom trainings, many families reported improvements in their interactions on the farm and at home. 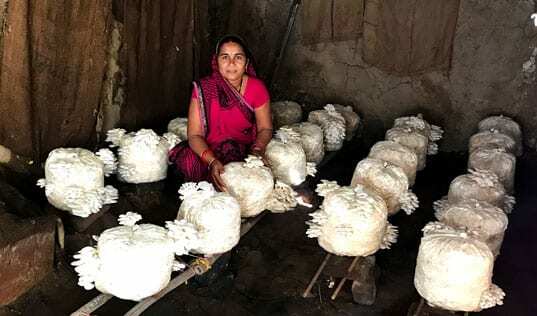 Looking forward, Wadzanai hopes to expand her operations along with the financial and family benefits her mushroom trainings provide to agricultural communities. 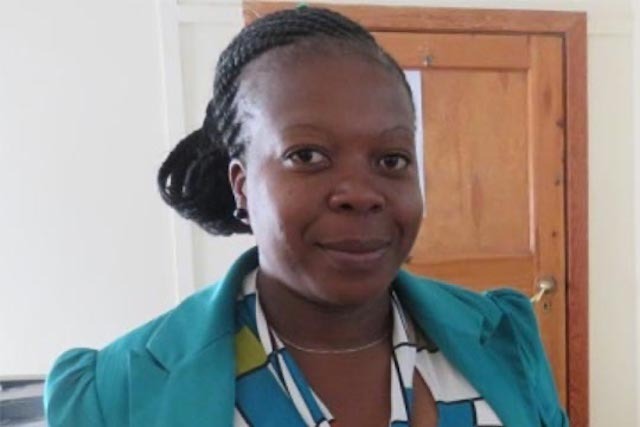 She aims to increase her offerings beyond the low-cost oyster mushroom she currently sells, spread the environmental and productive benefits of her Giant Grass production system, and continue to break barriers for other women in Zimbabwe. 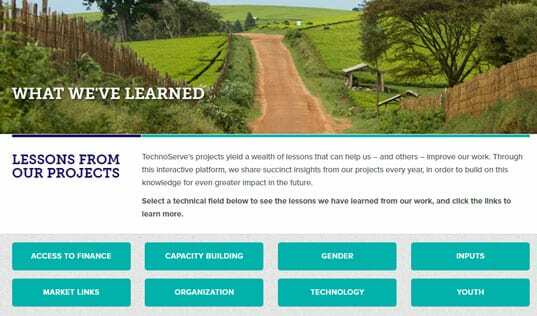 Read more on the challenges facing women in agribusiness in Zimbabwe and learn about the innovative solutions being developed by TechnoServe’s AIZ team and the enterprising women they work with.